In discussing the various means of abortion, we should try to stick to the same terminology. The term surgical abortion is self-explanatory. Next is RU-486 which is deliberately given orally to cause what is known as a medical (sometimes termed medication) abortion. When the abortion is inadvertently caused by “The Pill” (homonal contraceptive) it is usually identified as a chemical abortion. There is a large variety of these contraceptives available, particularly including, in recent years, Plan B, the Morning After Pill emergency contraceptive. 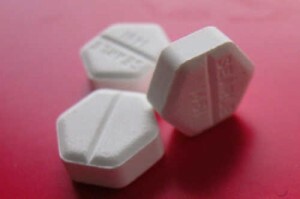 In sum, if the non-surgical abortion is deliberately induced, it is a medical/medication abortion. If it is inadvertently caused by a hormonal contraceptive, it is a chemical abortion. That pill STOPPED altogether my daughter-n-law from having more babies as much as she wants 3 more besides only one. Now, she is in her 40’s and no more pregnancy. There is always pay back you know if not now, later in your life. Abortion in all its forms and methods are dangerous to the lives of the women. Those who practice it will pay a heavy price in this life and in the next.